Degenerative disc disease is a common condition affecting more than 10 million Indians every year. 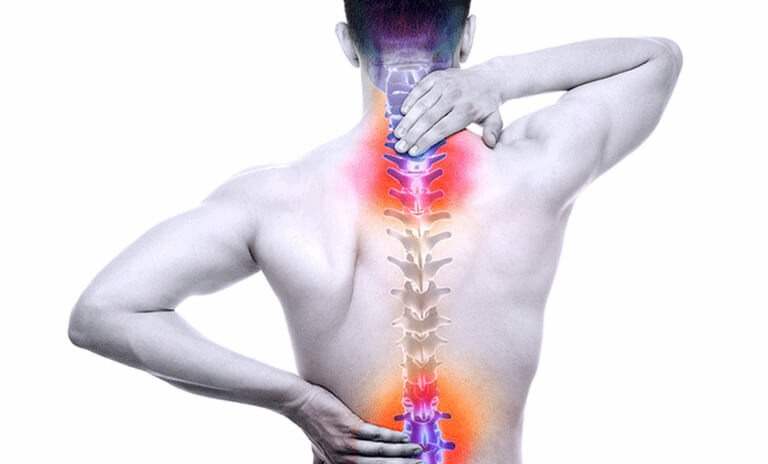 It deals with the cushioning discs that exist between each vertebral bone of the spine. In a normal person, these discs act like shock-absorbers and help in keeping your spine flexible, giving you the ability twist and turn effortlessly. However, with age, these discs begin to show signs of wear-and-tear and their spongy structure starts to weaken. Almost everyone’s discs degenerate with time, resulting in varying levels of pain and disability; only a very few are unable to feel this pain. This chronic condition can last for years or lifelong. Looking closely at these discs reveals a soft jelly-like inner core with a tough outer wall. Degenerative disk disease can arise due to drying out of these disks which contain a high level of fluids. Once the disc looses fluids, it means less padding between the spinal bones as the disc becomes thinner and loses its ability to absorb shocks efficiently. This can also lead to a multitude of problems resulting in pain. Aside from drying out, the discs may also develop tiny tears over the years due to daily stresses and injuries. The tears can result in some of the disc contents pushing out of the tougher exterior, leading to a bulging disc or a herniated disc (when the disc slips out of its position). This can affect the nerves, leading to pain and difficulties in movement. The exact symptoms of disc disease depend upon the location of the weakened disc and the changes incurred. The most common symptoms include sharp pain in the neck or back regions. The pain can come and go, be nagging or severe, and can last from a few days to a few months. It can spread from your lower back to the buttocks or upper thighs. It can also lead to weakness, numbness or tingling in the arms or legs as damaged discs affect the nerves in the spine. Pain usually gets worse upon sitting, bending, lifting or twisting. Walking or lying down usually provides relief.